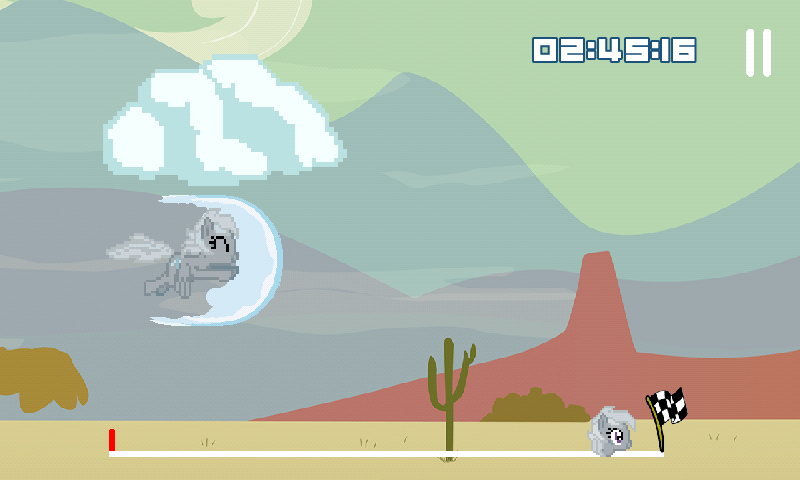 Last night, the team behind My Little Karaoke - an UltraStar song pack chock-full of brony music and other things, and pretty much the only thing in our karaoke tag - released a new update. Unlike previous updates, this one contains no new songs, but instead is focused on the game itself, moving to a brand-new launcher and engine with support for things like online leaderboards, duet songs, and a system to facilitate quicker song releases. Check their release post for more information. 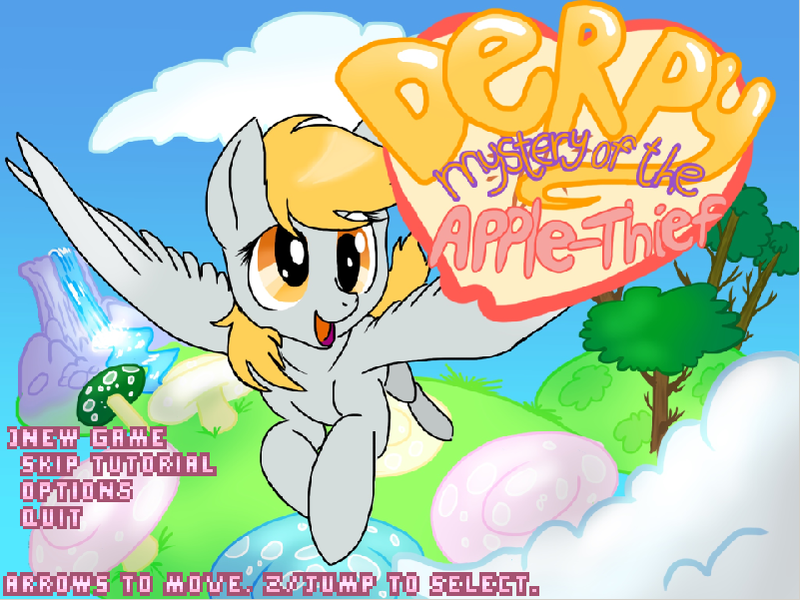 Derpy: Mystery of the Apple Thief is a pixel art platformer made by Starlight Studios where you play as Derpy and go on a quest to save Fluttershy, who has gone missing and coincidentally right after that apples everywhere are disappearing. Hmmm, I wonder why is that? Since this is a pretty short game, I won't go into detail about it. It's a little too easy for my taste, but if you want something to relax for a good ten minutes, this might be for you.